There are a lot of different and delicious types of cheeses that fall under the category of Swiss cheese. These types of Swiss cheeses can be hard or soft, mild or strong, being ideal for a range of delicious recipes. You can prepare fondue, bacon and cheese quiche, mac and cheese, and even rich sandwiches with Swiss cheese slices. Below you will find the best Swiss cheese produced by reputed brands dedicated to high-quality cheeses, ranked according to taste and versatility. The gourmet picks included on our list are ideal for melting, serving with baked broccoli and chicken or on bread. Discover your favorite type and include it in your next recipe as a sauce, dip or side. Gruyere is one of the best Swiss cheese types that has a nutty and sweet flavor. Falling into the category of hard and extra-hard Swiss cheeses, it is made from raw milk in cave-like conditions. Savory and very versatile, this Gruyere cheese can be served sliced, cut or grated, in a fondue, as an aperitif or dessert. It is a good melting cheese and a popular choice for French dishes such as Cordon Blue or Croque Monsieur. 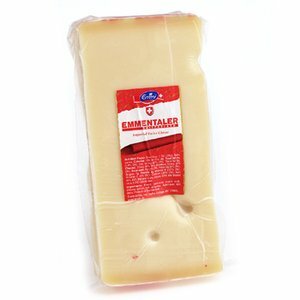 Emmentaler is the most famous cheese from Switzerland, its popularity being the result of its mild and buttery flavor and melting ability. The large holes form as a result of hay particles present in the cheese during maturation. They are a distinctive sign of the traditional cheese-making process employed to produce Emmentaler. The best Swiss cheese recipes to include Emmentaler in are fondues and gratins. The Tillamook Swiss Cheese is produced respecting traditional techniques, and it is sold sliced for easy consumption. This delicious cheese can be grilled or baked and served as an appetizer on fresh bread or your favorite crackers. Aged over 60 days, this cheese makes a great vegetarian snack for people who enjoy the benefits of a meat-free diet. Healthy and easy to serve, this classic sliced cheese is rich in protein and has a high nutrition value. This Raclette is imported from Switzerland, and its main ingredient is cow’s milk. The semi-soft cheese is a delicious option for melting, so use it to prepare a filling sauce for green veggies such as asparagus or spinach. High-quality and delicately flavored, the Swiss Raclette also has the famous Swiss cheese holes, just as Emmentaler does. The Raclette should be avoided by people with intolerance to lactose for safety reasons. However, it is ideal for all pizza lovers who want some shredded delight on top of their favorite Italian pizza. The smoked Swiss cheese has a stronger flavor which makes it fit for true cheese fans. Strong and firm, this cheese type can be shredded and served on top of creamy macaroni or as a delicious stuffing for meat dishes. Among the many types of Swiss cheese available, the smoked specialty is different due to its full-flavor and buttery taste. Ideal in casseroles, as the main sandwich ingredient and as a substitute for Gruyere, this cheese is a delightful treat. This cheese’s nutritional value includes 192 mg of Sodium, 77 mg of Potassium and 27 g of protein per 100 grams, packing 380 calories. The Alpine Lace Swiss Cheese is a softer variety that can be included in homemade dishes such as hot fondue, soups, and even chicken Cordon Bleu. You can also make a delicious Swiss cheese quiche using this Land O Lakes Alpine Lace variety. Made famous by the French who are true cheese lovers, this satisfying delight can be served on a cheese platter along with almonds, nuts, and fruits for a memorable snack. Big Baby Swiss Cheese is buttery and sweet and tastes similar to American semi-soft cheese varieties. Ideal for melting on garlic bread or served as a quick snack, this gourmet product will appeal to children and adults alike. This cheese has a characteristic nutty flavor, and it can easily be sliced to make the best layer of your veggie sandwich. It is important to know that calories in Swiss cheese vary from product to product. But generally, the value is around 350 calories per 100 grams, which makes for a satisfying appetizer. This Aged Swiss cheese maintains the characteristic nuttiness and buttery texture everyone expects. Produced using part skim milk, the cheese has to go through a process of aging of at least 1 year. With a stronger flavor than regular baby Swiss, this product is ideal for sandwiches and casseroles. Rich and firm, aged Swiss cheese can be shredded and added to pasta recipes for a dash of extra taste. If you are wondering how to make Swiss cheese, know that the process is a long one, and it includes maturation and aging. The Emmi Swiss Raclette is designed for delicious Raclette grills that the whole family will appreciate. Soft and buttery, this cheese has a subtle nutty flavor that makes it ideal for a variety of dishes, from fondues to pasta dishes and sauces. The product is easy to slice, so you can use it as a great ingredient for sandwiches, hamburgers or serve it in wedges alongside your favorite fruits. This product is imported from Switzerland, and you can order it online. Another gourmet Swiss cheese, the Gruyere is made with whole, unpasteurized cow’s milk. It has a full, nutty and spicy flavor, and it will lend its creamy texture to a variety of dishes. Traditionally enjoyed by the Swiss as the basic ingredient in fondue, it works well as a table cheese, in salads or grilled cheese sandwiches. It makes the best Swiss cheese fondue and it is best to pair it with white wine, to enjoy its full potential. Tete de Moine Cheese is a Swiss variety maturated for 3 to 4 months that pairs perfectly with red wines. Its hard texture makes it ideal for shredding, turning it into the best, quick snack any cheese lover will adore. After all, you can serve it on a platter with other cheeses and your favorite fruits and everyone will appreciate your fine taste. The best Swiss cheese options on our list are ranked based on their versatility and their characteristics, so you can choose your favorite product. Whether you enjoy low-fat Swiss cheese or don’t care about the calories, there is an option for you. You can complement the taste of this cheese with a good dry white wine. Enjoy!